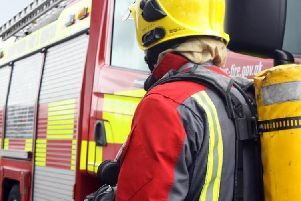 Firefighters rescued a road crash casualty after he became trapped in a vehicle which was reported to have careered off the A38 carriageway. The incident happened on the southbound carriageway of the A38 near Cotes Park Industrial Estate, at Alfreton, about 3.30pm, on Friday, April 21. An air ambulance and land ambulance were also called out to the emergency. Firefighters from Ashfield helped rescue the casualty and they made the area safe for other motorists by about 4pm.